Farhina Parvez is a TV Actress and Dancer who was born and brought up in North India. 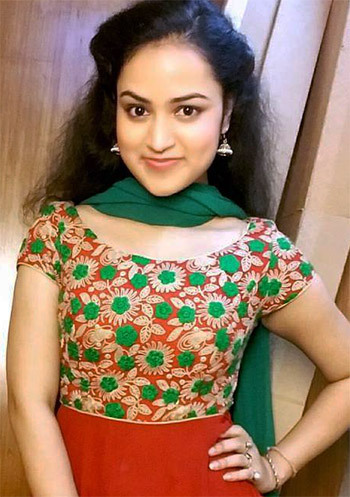 She was born on 26th January 1993 and is known for her giving a number of daily soaps in several TV series. She completed her education till 10th and her passion for acting and entering into the glamour world has made her pursue her dreams to into the world of acting. This brought her to Mumbai the dream city, which helped her to gain her luck in the industry. With a little bit of struggle, she managed to get into the roles and thus did a lot in this segment staying still young and gorgeous. Although her parents didn’t like her idea of moving to Mumbai she then said that she would continue her studies in the dream city while pursuing acting. She did a couple of auditions and finally bagged a role in the daily TV show called Ishaan that gave her the first break and the recognition as well in the TV industry. Since then it was no looking back for the lady as she did a number of TV shows including Navya..Naye Dhadkan Naye Sawaal, Ek Rishta Aisa Bhi, Waaris, and Qubool Hai. Besides, these she will be soon seen in the kids genre TV show called Aladin, which is all set to hit the TV channel soon. She is yet to make her entry into B Town movies. Besides, from doing a couple of TV shows, she also was seen participating in a few dance reality show, which include Boogie Woogie and Dance India Dance. She is best known for her few roles, which include the role of Appy in Navya..Naye Dhadkan Naye Sawaal and the character of Simi in the TV show called Waaris. Till now she has worked in five different TV shows and her remarkable performances have been often applauded by one and all. Now, talking about her personal life, she is yet to get hooked to anyone. She is not dating anyone and is willing to remain away from it as she is focusing on her work at the moment.